Former Cardinals wideout was released after he was arrested on DUI charges. FOXBOROUGH, Mass. 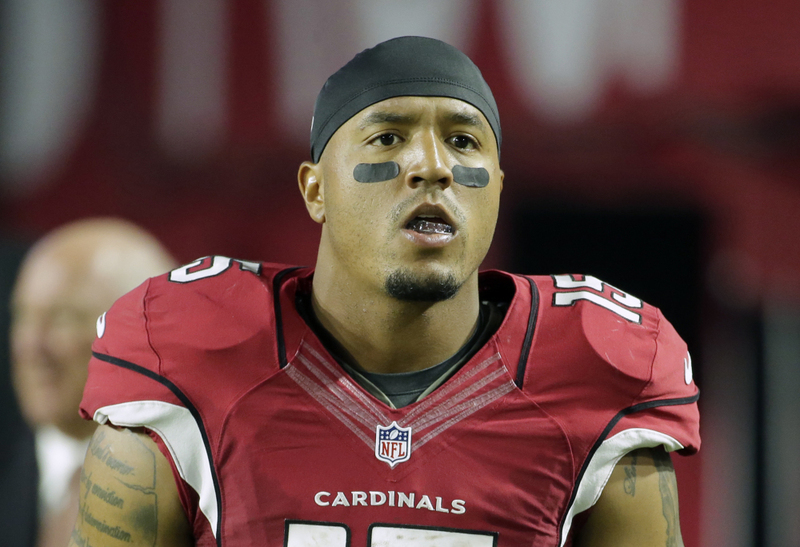 (AP) — The New England Patriots have claimed wide receiver Michael Floyd off waivers one day after he was released by the Arizona Cardinals. Floyd’s agent Brian Murphy confirmed the move in an email. Floyd, Arizona’s first-round draft pick in 2012, was released by the team two days after he was arrested on charges of driving under the influence and failure to obey a police officer. The 6-foot-2 220-pound receiver gives Tom Brady a big, experienced target. Floyd was having a down season but had five 100-yard receiving games last year. Floyd had 33 catches for 446 yards and four touchdowns with the Cardinals this season, but had several critical drops. The Patriots have been hit by injuries to their receiving corps, including star tight end Rob Gronkowski.